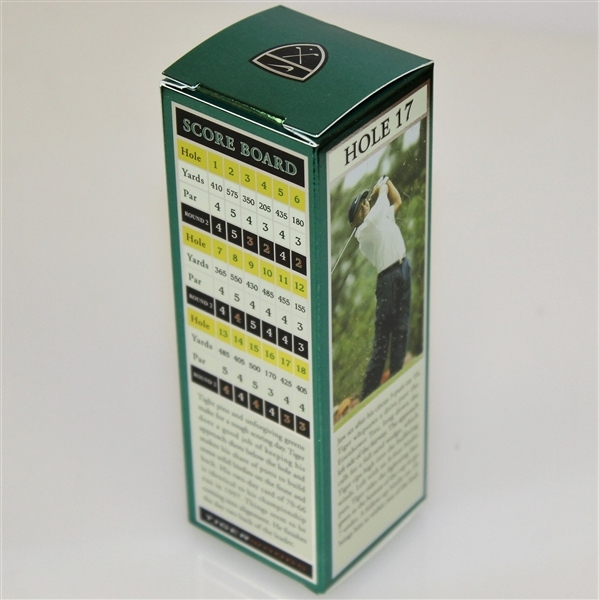 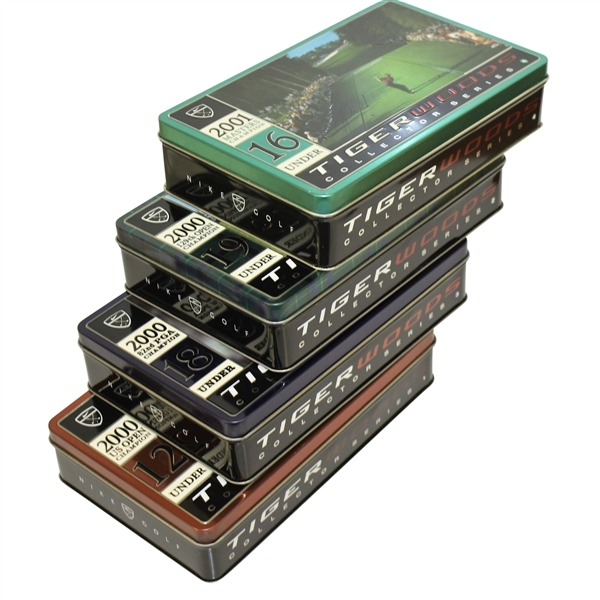 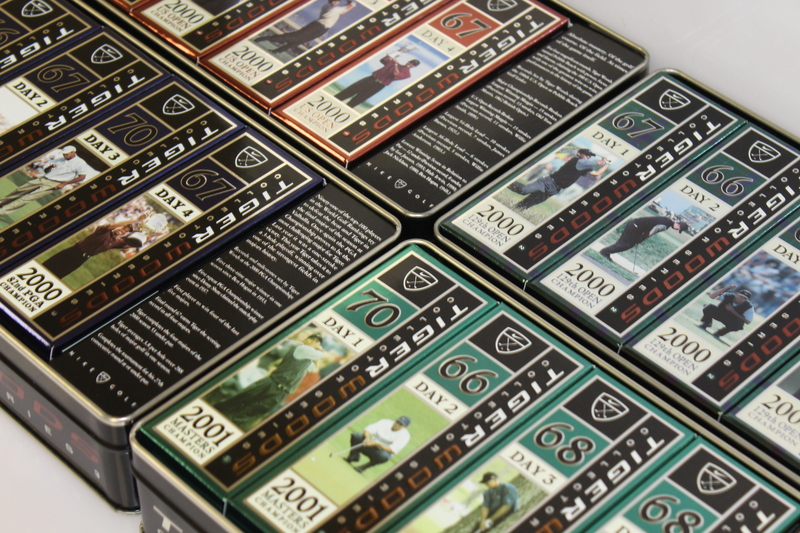 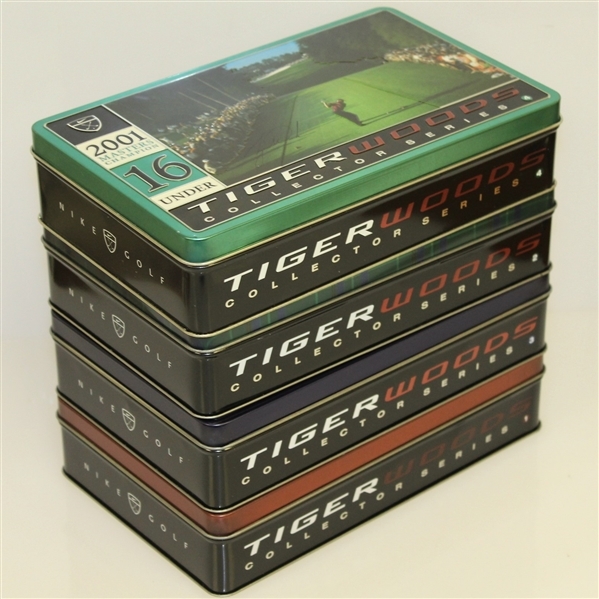 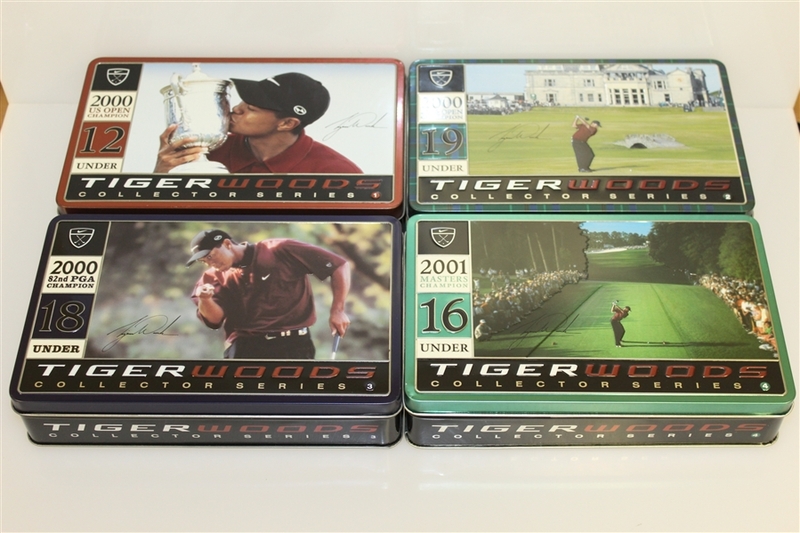 These collector's series tins of a dozen golf balls each commemorate Tiger Woods' victories in what is known as the "Tiger Slam". 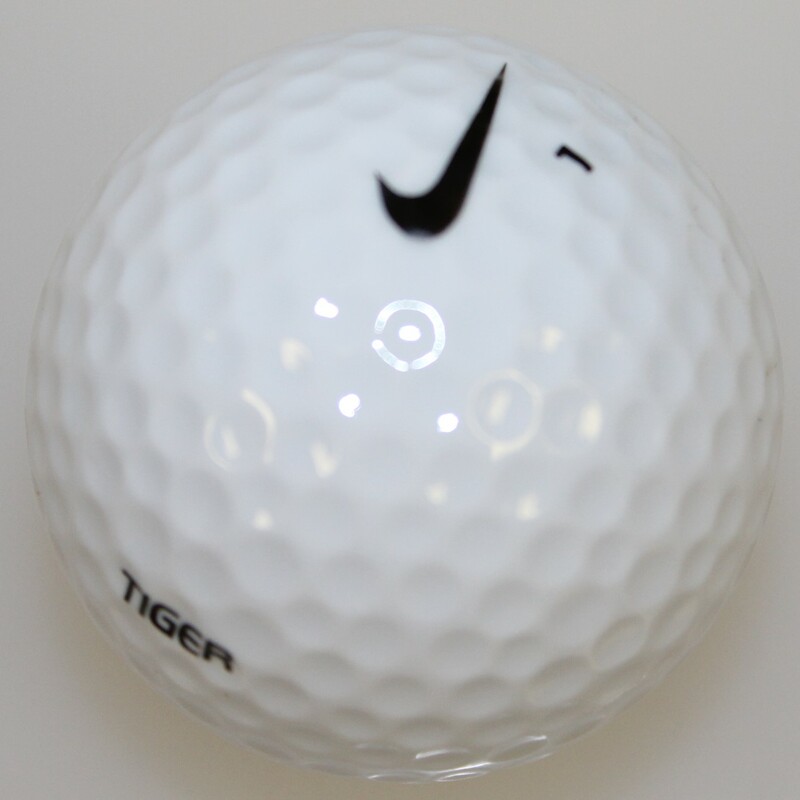 In Nike's case, they call the 'Major Foursome'. 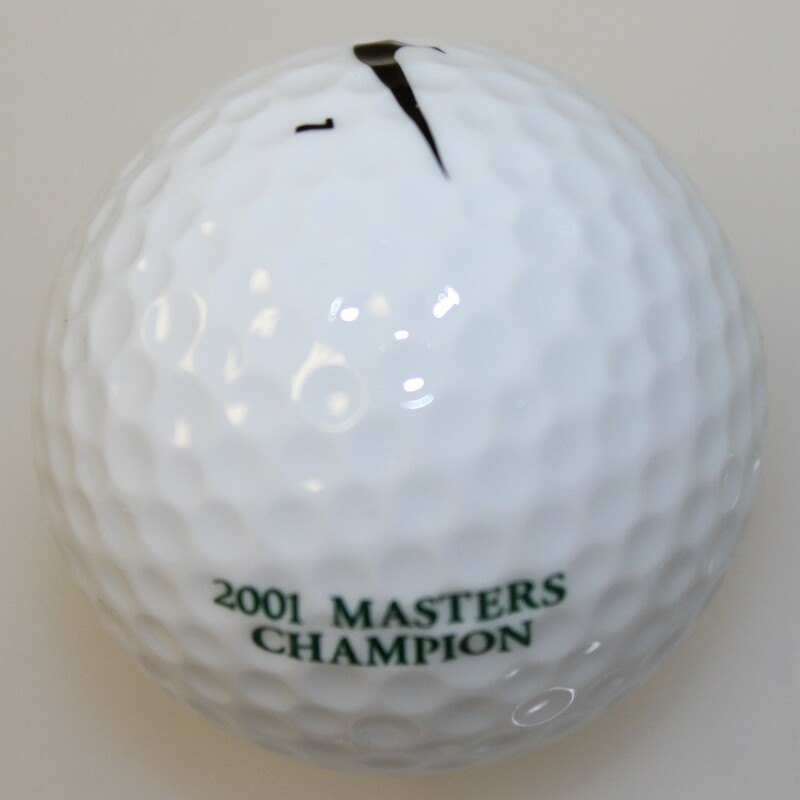 The Tiger Slam is made up of the 2000 US Open, Open Championship, and PGA Championship, as well as the 2001 Masters Tournament. 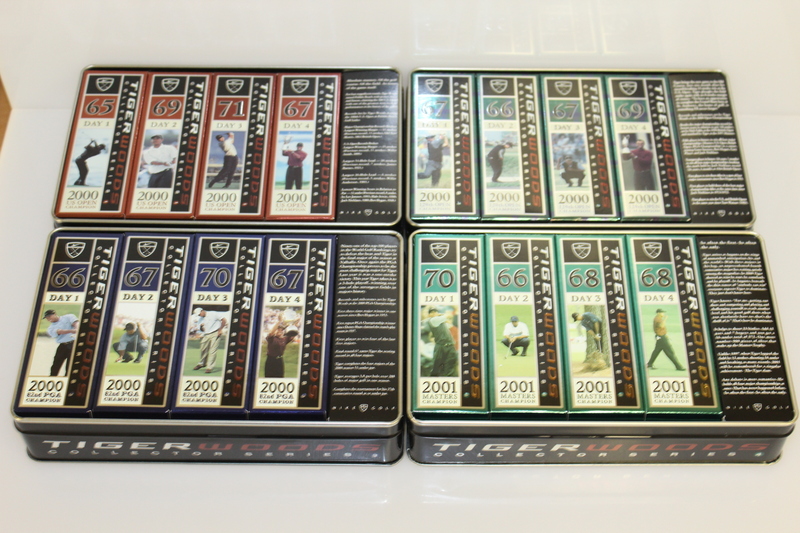 A commemorative tin for each leg of the slam is offered here in good condition. 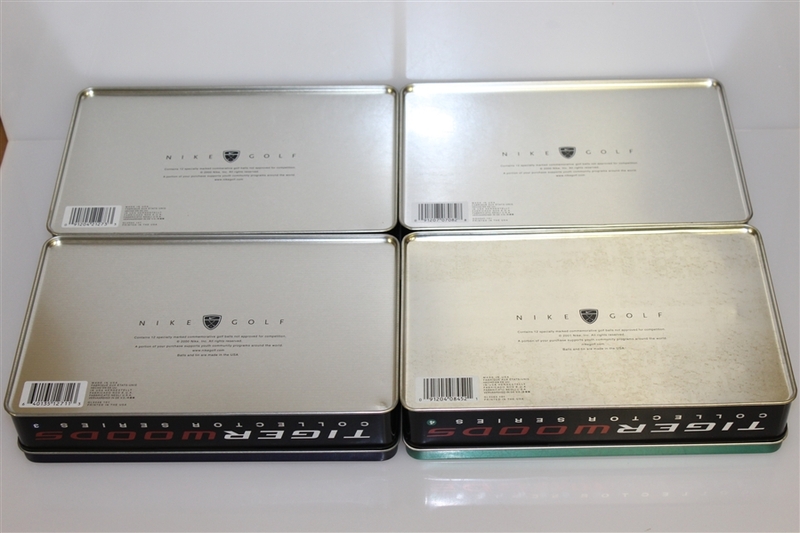 Please note: This auction will end at 5:00pm EST on Sunday, June 17th, with EXTENDED BIDDING to follow. All items in the auction will remain open until no items have received a bid within a 15 minute time period. Still the lowest rate among major golf auction houses, there is a buyer's premium of 17.5% for all items. All lots are free to be bid on until extended bidding has ended. 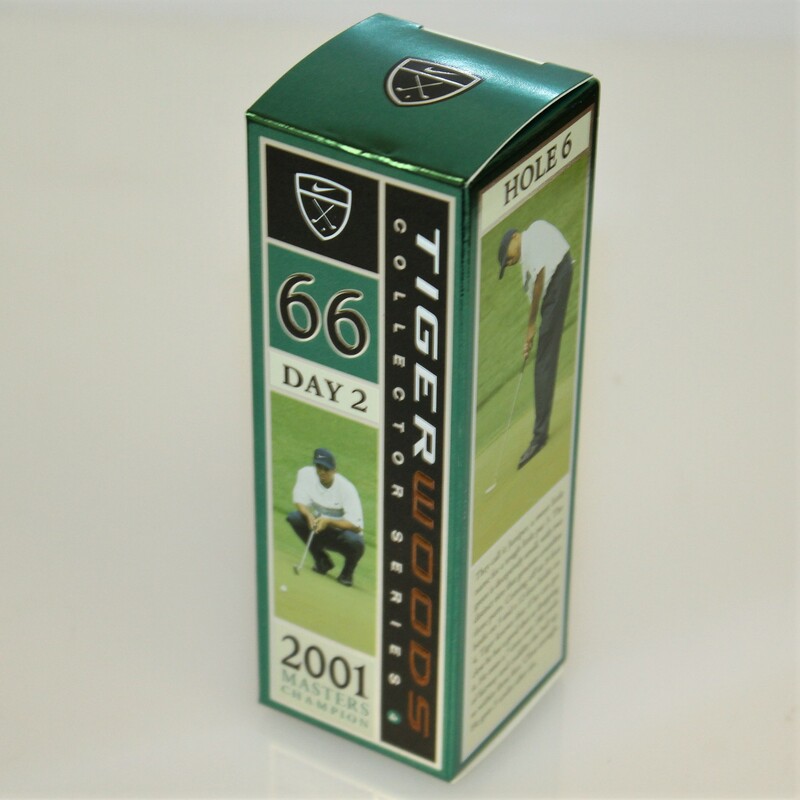 Auction closed on Monday, June 18, 2018.